Bank regulations subject banks to certain guidelines, stipulations, and restrictions in their day to day operations. This regulatory structure creates transparency between banking institutions and the individuals and corporations with whom they conduct business, among other things. Given the inter-connectedness of the banking industry and national (and global) economy and the reliance they have on banks, it is important for regulatory agencies to maintain close control over the standardized practices of these institutions. This book provides an overview of the internal guidelines, statutory and regulatory stipulations in force that regulate the financial environment with special reference to banks operating in India. The book also explains the concept of compliance, the compliance structure, role and relevance of compliance function in banks and importance of corporate governance. The book also gives an insight into the various risks that affect banks and methods to mitigate these risks. 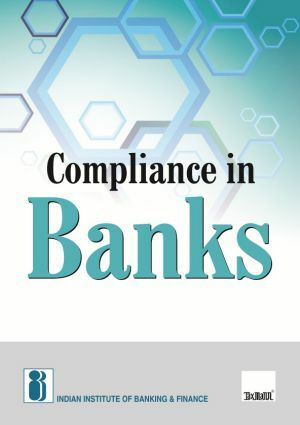 This book is a courseware for the Certified Banking Compliance Professional course offered in collaboration with ICSI with intent to create a cadre of compliance professionals in banks. This book would be useful to students of banking as also practitioners of bank audit and compliance.